Training is going on pretty well. Yes, the heat makes it harder but anyway it will be hot also on d-day. 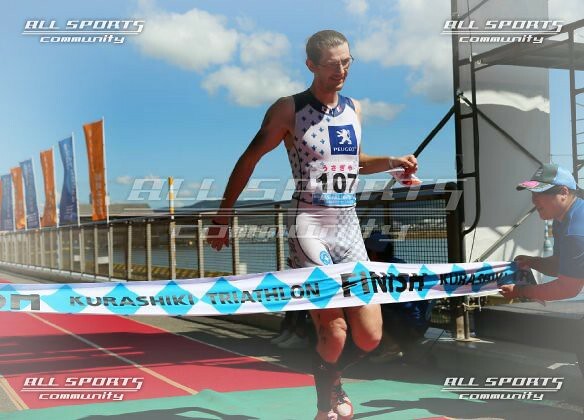 I do running, cycling and even some swimming sessions. 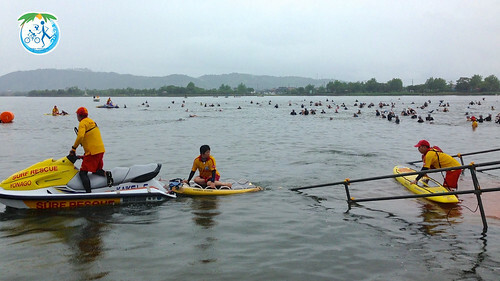 Cross training is the best to get back in shape without hurting your body with repetitive routines. With cross training all our muscles got involved one day or an other so one can get in shape in a smoother and less traumatic way. I start to feel better and better. 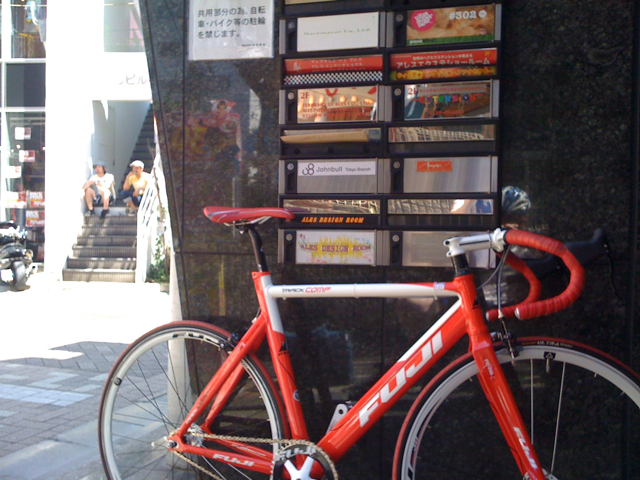 Saturday I took the Fuji Track Comp and rode from Yokohama where I live to Tokyo - Harajuku where I currently work. I always wondered how long it would take. On the map it is only about 30km. A distance I can ride in less than one hour easily when in the countryside, but in an urban environment it is totally different, obviously. 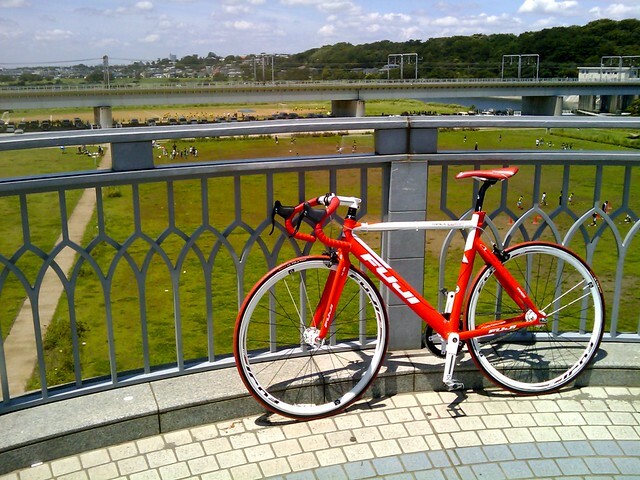 Short break on the Tamagawa bridge, which separate Tokyo and Kanagawa prefectures. One of my other stops was Komazawa Park, a first time to go there for me (thanks to Alban for the tip). A real sports mecca, many runners, baseball players, skaters, fixed gear fellows etc… I'd like a place like this in Yokohama… Is there one? At the UltraSuperNew office in Meijijingumae. Time to go back to Yokohama. So I just used the good old method, and asked two times my direction to people. By the way, today I think I decided the way I'll take on d-day. 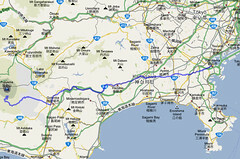 From Yokohama I'll cross Kanagawa Prefecture to reach Gotemba and then make it to the 5th base of Fujinomiya. 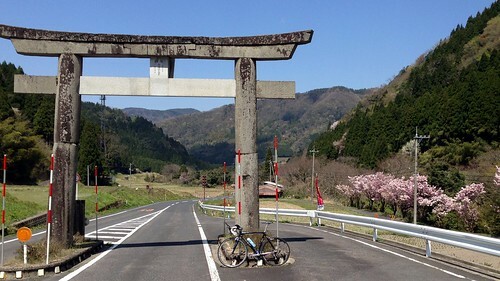 It is the southern start for the climb of Fuji San, and the shortest way to reach the top as well.From Yokohama to Fujinomiya it is about 112km. Good warm up before the climb :) If anybody thinks this way is a wrong choice, please tell me! 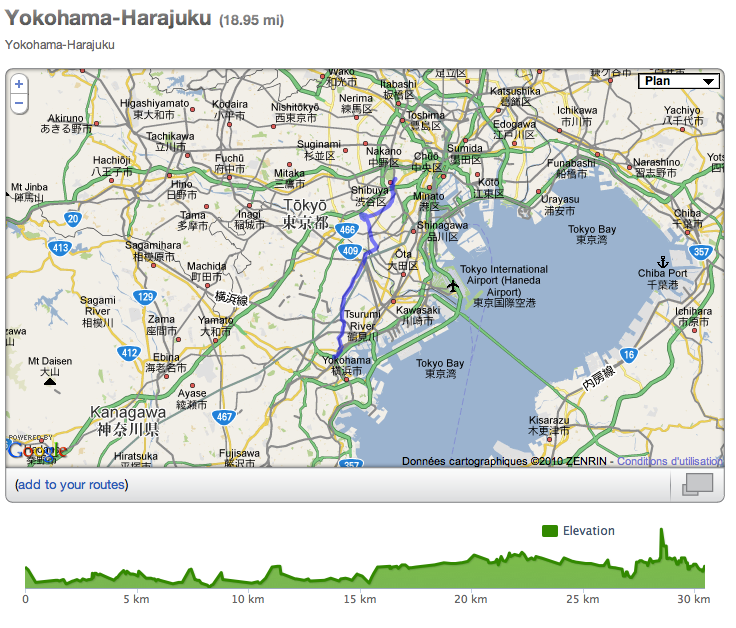 Next saturday I plan to ride from Yokohama to Gotemba (you can spot it on the map), about a 80 km ride (if my route is correct). I will stop just before the hard mountain part. I'll then take a train to get back home for this time. 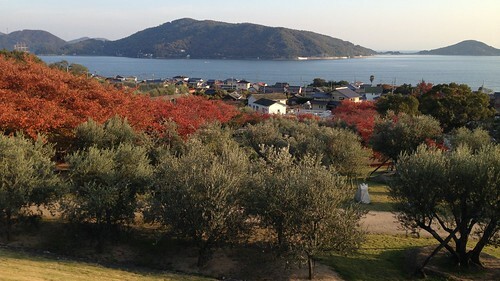 Wow, we rode the coast route through Chigasaki and then on to Odawara before climbing to Hakone... 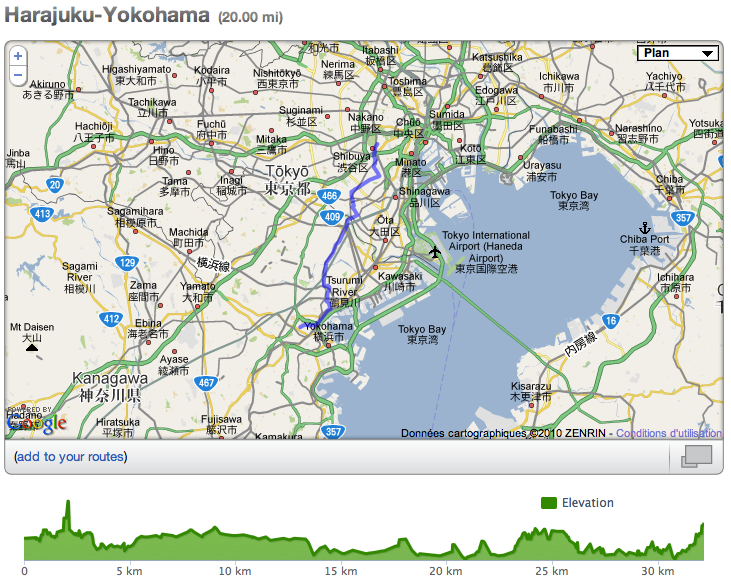 I bet the road you mean to Gotanda is beautiful - think I might have been on some of it in the car before... I'm going to keep checking your progress, very interested! Jerôme, give the direct link to your runkeeper profile. 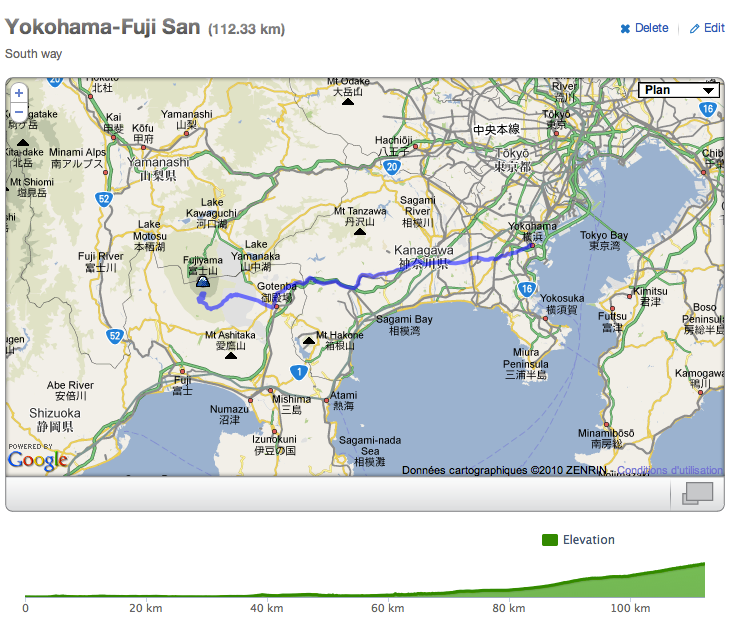 Like this we can follow your training and progress before the Fuji challenge. It is also quite interresting for whoever wants to see how much preparation is needed for your performance. I just changed my work schedule so from now I'll have more time during mornings. Salut Jérôme, ça faisait un bail. 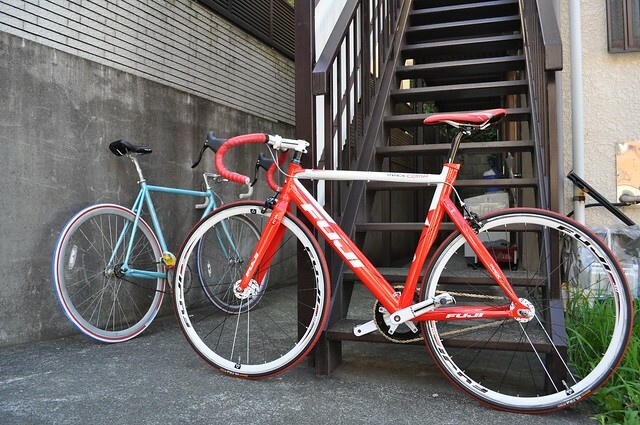 Dis moi ton vélo il a vraiment la classe, je n'ose imaginer le prix d'une telle bête. Je viens pour ma part de m'acheter un VTT pour parcourir les routes de Wallonie profonde. On a de la chance d'avoir de nombreuses pistes vélo ici.